Ford has revealed a new concept of its world-renowned and multi-award winning 1.0-litre Ecoboost engine at the ongoing 2016 Detroit Motor Show. 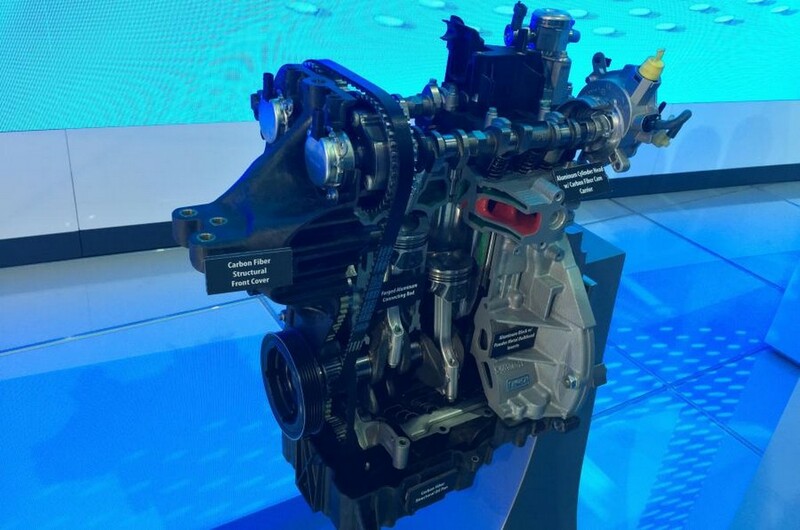 With the lightweight conceptual version of the new three-cylinder engine, Ford is planning to incorporate more technologies for better fuel economy in the future. The 1.0-litre engine has already been part of frugal family of Ecoboost engines and the new concept heralds the next generation power plants for the future road cars of the American manufacturer across the globe in various power and torque ranges to comply with the demands of the particular marketplace. 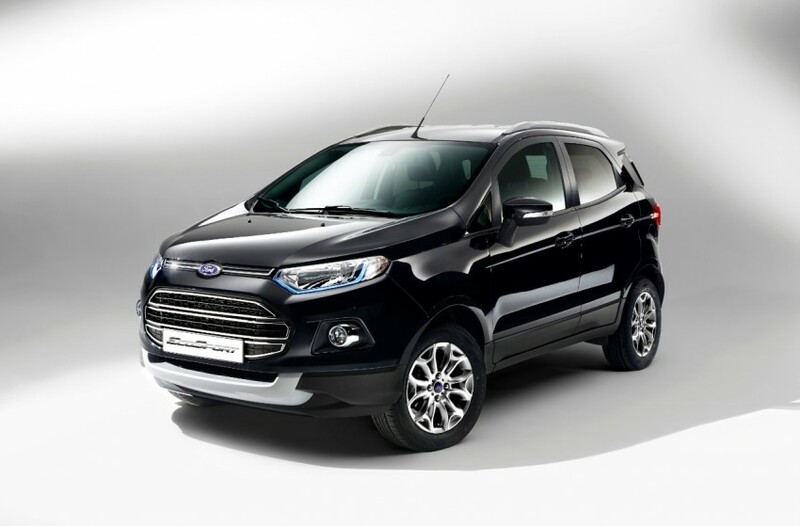 Ford has confirmed that it is mulling over introducing technologies like cylinder deactivation to compound the advantages of the lightweight carbon-fibre made 1.0-litre Ecoboost engine. The cylinder deactivation technology has had its roots in motorsport and with the increasing necessity of eking out more fuel economy, the engine developers have to wring out every inch of efficiency at their disposal whilst the performance has to be left uncompromised. The new 1.0-litre three-cylinder Ecoboost engine will run on two cylinders if the cylinder is deactivated at idling or cruising at very lower speeds. Ford says cutting the middle cylinder on a three-pod unit would boost economy at around 4.5 percent while the driving characteristics will remain unabated. The lightweight concept was one year in the making and as a result five major components such as connecting rods, cylinder head, cylinder block, oil pan and front cover have been redesigned and re-engineered to save 15.5 percentage weight compared to the standard unit. Built in lightweight carbon fibre material with powder metal inserts on important load paths the cylinder block itself, now at 14kg, has shed 40 percent weight against the standard block. Different assembly and structural techniques have been employed as injection-moulded carbon fibre is used to manufacture oil pan and front cover whilst the connecting rods are made of forged aluminium. Alongside the weight reduction, the NVH(Noise Vibration and Harshness) levels will also improved claims Ford. The turbocharged and directed-injected Ecoboost engines with variable valve timing arrived at global scenes in 2009 and Ford promises to keep them until the end of the decade and beyond that we could see new techs being infused into the highly adaptable power units. The main challenge will be for the American car maker to put the injection-moulded carbon fibre into volume production and to keep the costs down whilst using these exotic materials found in the prototype. Ford is committed to put the new concept into production but the time frame is not known yet. Therefore, we could still be hopeful to see internal combustion engines powering road cars in the future!